All District of Columbia Sample Sales, Outlets and Stocksales in one place. The list of all sample sales, stocksales and outlet stores in District of Columbia. 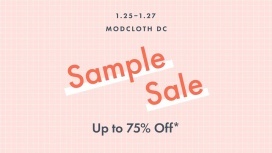 Take up to 75% discount on women's apparel at the ModCloth Sample Sale. Shop for bridal gowns at reduced prices at the Lovely Bride Sample Sale. 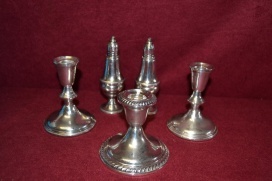 Price ranges from $99 to $2000.